I`m a Wedding Photographer based out of New York, available for national and international travel. My work is a mix of photojournalism and classic style, which allows you to have the best of everything that modern wedding photography has to offer. Smart guest list building features allow you to easily input the guest information and organize the wedding guests in groups. What do you think of this as a packable, non-wilting alternative to bridal bouquet ? It's made of vintage buttons by an Etsy artist. Is it the norm for guest to pay their own acomadation for destination weddings? Since flowers, balloons etc are not practical in the desert, nor sustainable at all, we've been trying to think of decorations that we can take with us or easily put together on location. The chuppah will be the main thing; hopefully, a custom quilt in shades of foliage colours, supported on poles by our family. We'll wrap ribbons around the poles and maybe have some kind of bows or tassels. Thoughts or other suggestions ? We're being married in the middle of the Negev, in a nature reserve on a progressive religious kibbutz. It will be quite hot and Israeli weddings tend to be a little more laid-back anyway so we're really not aiming for a formal wedding (though Lea will have her white dress and veil :) ). I'm kind of hoping to have barbeque for our wedding dinner. With this in mind, I've been looking around at what I'm going to wear. I initially considered a lightweight suit in linen perhaps but really, I'm not going to feel comfortable in a suit. However, I don't want to just wear a normal shirt and chinos - I wouldn't feel wedding-y enough. An additional consideration is that I'm short and fat (5'6" tall and 45" waist) and struggle to find clothes that fit and don't look out of proportion. My beautiful bride is only 4'11". I'm slightly worried we're going to look like wedding weebles (they wobble but they don't fall down !). I found this website - http://www.islandimporter.com/custom-orders.htm . They do custom orders in a huge variety of colours, in linen, raw silk and cotton. Our colours are sort of natural leafy colours - greens, browns, neutrals. So, what are your thoughts on a shirt and drawstring trousers, perhaps in linen ? Not sure what colour though ... Would this seem dressy enough next to Lea's medieval-ish frock ? I'll also have a tallit and kippah on for the ceremony, cream and gold probably. The idea of having frozen drinks or cocktails that match wedding colors has been kicking around lately. 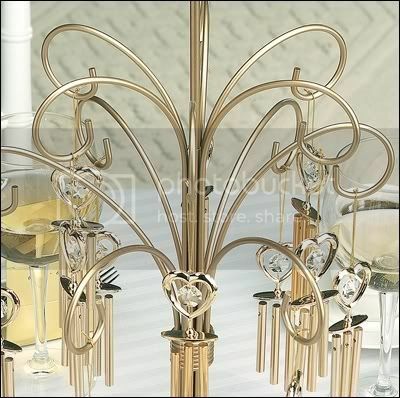 This is economical and stylish if you're having a limited bar during the reception or cocktail hour. Floral themed wedding? 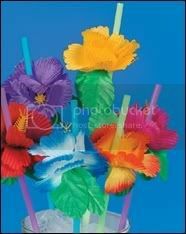 These Hibiscus straws from Oriental Trading are really cute. These start at a very affordable $2.49 USD a dozen. Glitz your theme? These from Retro Party are perfect, starting at $2.69 USD each. Dark dance floor? 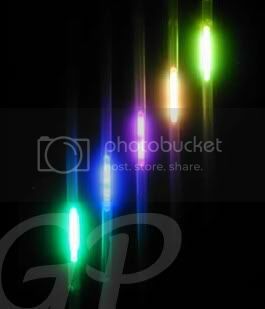 How about Glow Straws from Glow Products. These straws glow for about 4 hours and start at .45 cents each. Google can come up with some pretty interesting straws :) I think I'm a paper umbrella gal! I spotted this fan in the February/March 2008 issue of Brides. This fan is really cool--literally. It combines two essential ideas into one: keeping guests informed of the schedule and cooling guests off. The Crescent Fan is $2.25 USD each, plus shipping. Printing on this fan is available on both sides. 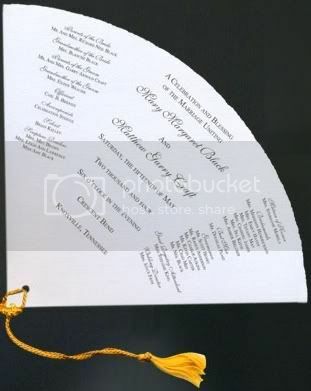 You can personalize it by adding a monogram on one side and your program or schedule of events on the other. 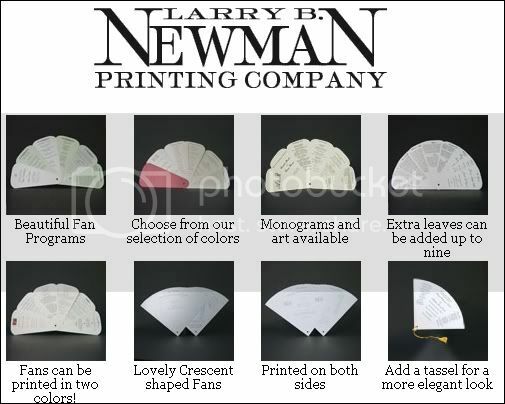 It's available online from the Larry B. Newman Printing Company. Additionally you can customize the fan by adding a tassle from their assortment, or you can DIY and add your own tag :) The tassle look is pretty sweet though. They also have a couple of other fan styles available. Stumped over favor display? How about a Favor tree? Available from Jean M for $30 USD each. They have silver and gold listed on the site. Place a couple favor trees at the reception entrance or on tables for a flower arrangement alternative. I came across these favors from the Classy Bride site. For an additional cost you have the option of adding a Personalized sticker. Choose from a large selection of Sticker Themes as well. 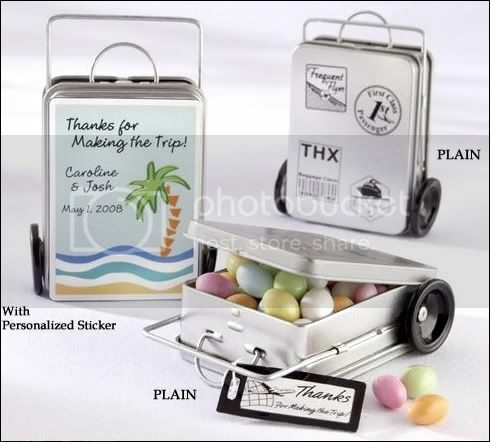 How cute would it be to have Jordan Almonds, Customized M&Ms, or mints inside these Luggage Tins?